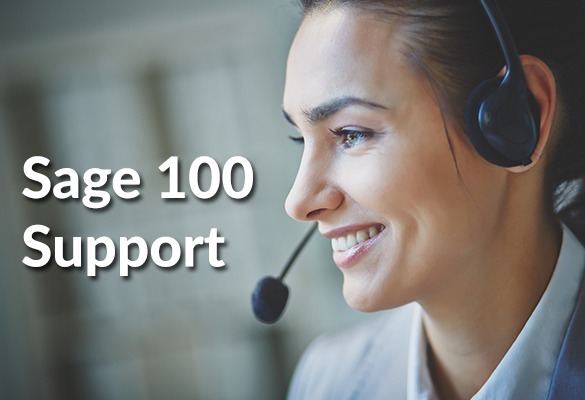 Sage 100 Contractor was developed by Sage Group especially for contractors, so that they can have access to important information regarding business and projects. This software can be used by all kinds of contractors. The former name of Sage 100 is Sage Master Builder. The specialty of this software is that it can be integrated with business management along with accounting software, so that it can be utilized by engineering contractors & subcontractors of all trades. It is one of the rare compatible software which is developed for construction industry with such enhanced features and improvised modules. General Ledger: You can now easily retrieve information from all other modules without affecting your accounting process. It is considered to be a vital part of the MB6 accounting software. • Accounts Payable: The Sage 100 contractor is considered to be whole package of Purchase Orders, Subcontracts, Job Costing and Inventory. • Accounts Receivable: It makes accepting payments extremely simple. It provides services through marketing, sales contact, and document management tool. • Cost to Complete: It provides reports with accurate data. It includes the last minute analysis of the estimated costs, hours, or other units, etc information which are necessary to complete a project. • Job Costing: It is synchronized with each and every module that is going to provide you job cost information, which is accurate and is updated in real time. Gives Clarity for Better Decisions: As it is developed on a systematic interface, and has in-built capability to create customized reports. These reports will help you in providing better insights about your business. • Confidence in Business Analysis: Sage 100 Contractor is designed for construction industry. It helps them with estimates, projects, costs, change orders, and accounting. • Complete Integration Control: Sage 100 Contractor merges with your business effectively. It helps you in providing estimates & job costing schedules. It compiles your business processes and provides you with full control over your finances and daily activities. • Keep Projects Ahead: The functions of Sage 100 Contractor helps in estimating and scheduling the project along with managing the document/contract control. The Sage 100 Contractor comes with many enhanced and improvised features. If you want to make enquiry about the Sage software, then you can contact Accounting Advice. They will come up with best possible solution for you issues. The Accounting Advice is one of the best Sage customer support providing agency. You can always reach out to them when you need some expert opinion regarding all your Sage related troubles you are facing. They have appointed Sage qualified personnel who have experience in resolving all kinds of technical and functional Sage issues. If you want to get in touch with them, then you should give a call on their toll-free customer support number 1800-961-4623 . There are other options available to contact them, like writing an email to online Email Support or requesting for online Chat support.